When you’re involved or when you’ve witnessed a traumatic event, it’s normal to feel upset or distressed about it. For some people these emotional and physical reactions to distressing events only last for a short period of time. It’s different for people with Post-Traumatic Stress Disorder or PTSD. For them, there’s no time limit for their distressing emotional and physical reactions. 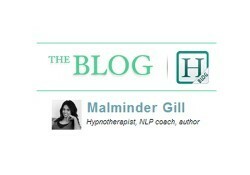 Published by Hypnosis in London on 27 February 2017, written by Malminder Gill. PTSD is no longer new. In fact, it has been around for thousands of years though it has been called in different names in certain events. It has been called ‘shell shock’ during World War I, ‘war neurosis’ during World War II, and ‘combat stress reaction’ during the Vietnam War. Other names given to PTSD include soldier’s heart and battle fatigue. It is estimated that about 1 in every 3 people who experience a traumatic event suffer from PTSD. Unfortunately, there are evidences suggesting that about 70 percent of people in the UK with PTSD do not receive any professional help. Not everyone with PTSD have been through a dangerous event. Some may develop it as a result of sudden distressing event like a death of a loved one. For some people, the symptoms may manifest as early as within 3 months of the traumatic incident. For some, the symptoms may manifest years after it. A person is diagnosed with PTSD if he/she manifest the following for at least a month. Although children and teens have extreme reactions to trauma but their PTSD symptoms are different. These include bed wetting even having learned how to use the toilet, acting out when exposed to a scary event, being unusually clingy to an adult such as one’s parent, and being unable to walk. 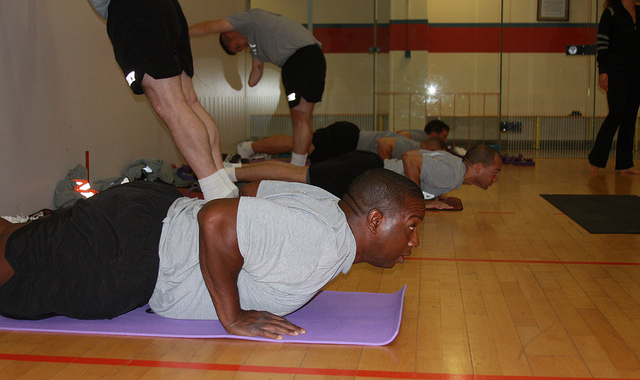 Physical activity is one way of coping with PTSD. By engaging in exercise, your body releases endorphins (also called as the “happy” hormones) which can help you improve your overall mood. Exercise may have its antidepressant effect by serving as a distraction from the source of stress. It can also help you gain that control over your body and if you’re joining a group activity, you can benefit from the mood-lifting benefit of social interaction. Aim for at least 30 minutes of exercise everyday. If 30 minutes in one session is too long for you, you may try three 10-minute spurts of exercise. PTSD can leave you feeling vulnerable and helpless. There are ways though on how you can change your arousal system and calm yourself when you start feeling overwhelmed. Mindful breathing, meditation, yoga, and even listening to gentle music can help you relax and gain control over your body/life. You don’t have to talk about trauma just to connect with others. Just finding that person whom you can connect to, talk without being interrupted or being judged can be a good way of bringing that feeling of safety and bringing your nervous system back in balance. There are PTSD groups that can make you feel less isolated and can provide you with invaluable information on how to cope with your symptoms. You can also find a VA disability lawyer South Carolina to help you claim veteran benefits. Many PTSD sufferers have experienced success with hypnotherapy. This form of therapy works well with those with PTSD as they’re highly hypnotizable. It was found out in studies that Vietnam veterans with PTSD have above average hypnotizability score on standardized tests. Hypnosis provides controlled access to memories that may have been kept out of consciousness. For PTSD, it is used to get into the dissociated traumatic memories and provide positive restructuring in these memories. Through regular hypnotherapy sessions, you will eventually learn to face and bear the traumatic experience you had and have better perspective out of it. Hypnosis enables you to acknowledge your helplessness during the situation but at the same time, help you instill memories of self-protection and affection shared by those who have gone through the traumatic event with you. As a hypnotherapist, I will treat you and your problems with sensitivity. I understand that every person is unique so your hypnotherapy session will be custom designed to provide you with life-changing results. If you’d like to find out more how hypnotherapy can help you overcome your post-traumatic stress disorder, you can contact me through this page. “Post-Traumatic Stress Disorder (PTSD) – NHS Choices”. Nhs.uk. N.p., 2017. Web. 27 Feb. 2017. “What Is PTSD? | PTSD UK”. PTSD UK. N.p., 2017. Web. 27 Feb. 2017.
,  “NIMH » Post-Traumatic Stress Disorder”. Nimh.nih.gov. N.p., 2017. Web. 27 Feb. 2017. “PTSD Symptoms, Self-Help, And Treatment: Overcoming Post-Traumatic Stress Disorder And Moving On With Your Life”. Helpguide.org. N.p., 2017. Web. 27 Feb. 2017. “Hypnotherapy For Post-Traumatic Stress Disorder (PTSD) – Hypnotherapy Directory”. Hypnotherapy-directory.org.uk. N.p., 2017. Web. 27 Feb. 2017. E, Spiegel. “New Uses Of Hypnosis In The Treatment Of Posttraumatic Stress Disorder. – Pubmed – NCBI”. Ncbi.nlm.nih.gov. N.p., 2017. Web. 27 Feb. 2017.